This is the Sponsors and Vendors page. Click the pictures below for other festival information! Click the button to provide your sponsorship information. Each year we rely on the generosity of kind sponsors and donors without whom our festival would not be possible. To thank our sponsors for their support, we offer a range of incentives and benefits. Read on to learn more about sponsorship benefits. To sponsor the festival, click on the orange button above. We are committed to showing our gratitude to all of our sponsors and donors. By becoming a sponsor or vendor of the festival, your business will be highlighted among our community of hundreds of affluent, educated families. You will have be a vital part of a popular community event. You will contribute to the enrichment of our children’s education, and help to support our non-profit partners. You’ll also receive advertising benefits and complimentary gifts. Please print out the forms, write in your information and drop them in the mail or at our office. For all donations above $150, sponsors receive the following benefits. Click HERE to complete the sponsorship form and become an official sponsor! We do everything we can to promote the Fall Festival and our Festival Partners. While we are confident of a great turnout, you can help create interest and promote your support of this family-friendly local event by posting news, information, and updates to your own website and social media pages. The more attendees we have, the more value you’ll get from your sponsorship. Here are some specific tips to support your sponsorship promotion. Like The New School on Facebook, and like, comment and share our posts. Post a link to the Festival main web page on your Facebook page. Download our 8×11 color flyer and post at your place of business. Write a press release about your support of the festival. Without our invaluable volunteers, our festival would be impossible. If you are sponsoring, we suggest that you provide additional volunteers to support your efforts. For information on our festival volunteer opportunities and the available benefits and discounts, please visit the Volunteer Information page. Please make a donation to the festival to help make it a success. Any funds raised in excess of expenses will be donated to our enhanced science curriculum. The New School is a 501 (c)(3) non-profit organization, your donation is tax-deductible (to the extent allowed by the law). On behalf of the students, teachers, and families at The New School Montessori Center, many thanks for your support!! Here’s a huge thank you to our 2018 Fall Festival Sponsors! Sponsors help make the festival a memorable family-friendly event for everyone in the Holly Springs community. Please consider our sponsors next time you have a choice in services. And let them know you heard about them because of The New School Montessori Center Fall Festival! 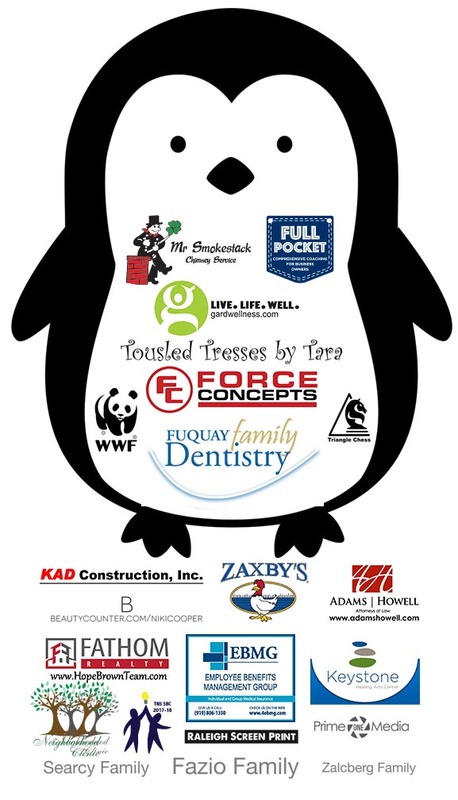 Please join us in thanking our generous 2018 Arctic Blast Fall Festival sponsors!